Fall is my favorite season for fashion and despite not actually needing warm weather clothing or accessories, I am always on the lookout for a new pair of fashionable and affordable boots. This past weekend I saw so many chic booties, combat boots (the newest trend this season), leopard prints, and camouflage. 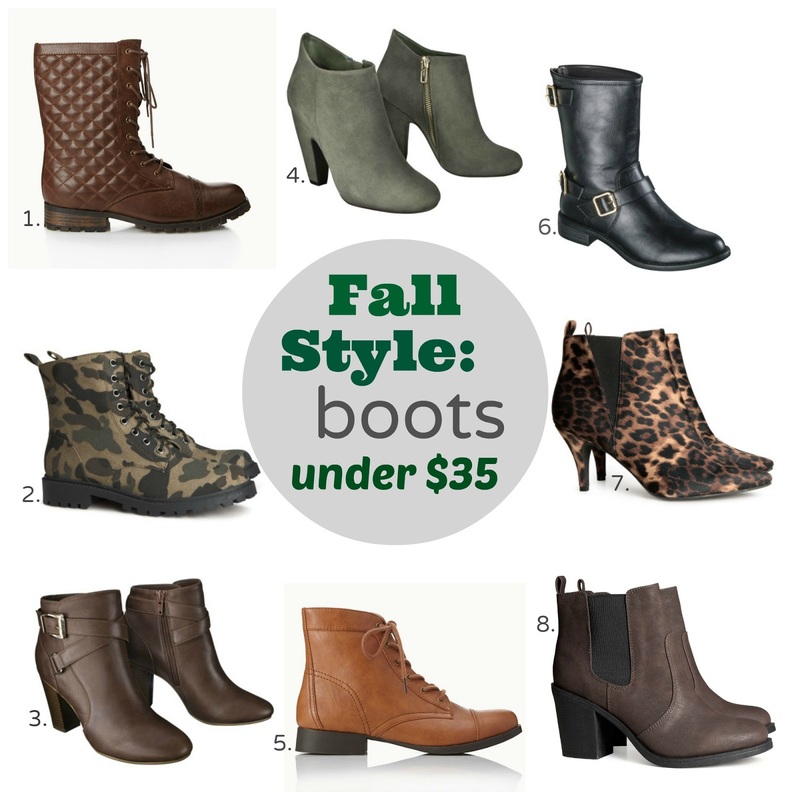 I've rounded up my favorites for less than $35 and hope you find a pair you'll love! *Target Boots and Bags are 20% off this week, prices already shown with sale prices. The leopard boots are pretty fab, I wish it was as cold here, I would buy more than just one pair each season! Oh I love boots! :) Esp the leopard printed one. The leopard boots are definitely my favorites! Wow I can not believe these are all under $30.00! Nice. It just shows you that to look chic, you don't have to spend a ton of money! Old Navy Sale - 8 Fall Trends under $25!! New Eva Mendes Collection for New York & Co.
Joe Fresh at JCP New Fall Arrivals on sale!! Catherine Malandrino x Kohls Look Book is here! !